Published on Monday, March 14, 2011. 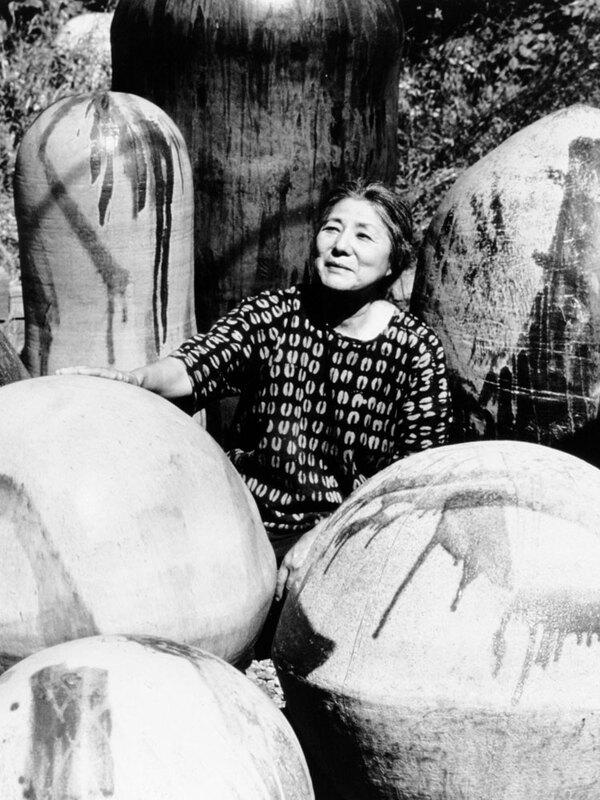 Toshiko Takaezu, one of the most influential and world-renowned ceramic artists, died last week at the age of 88. 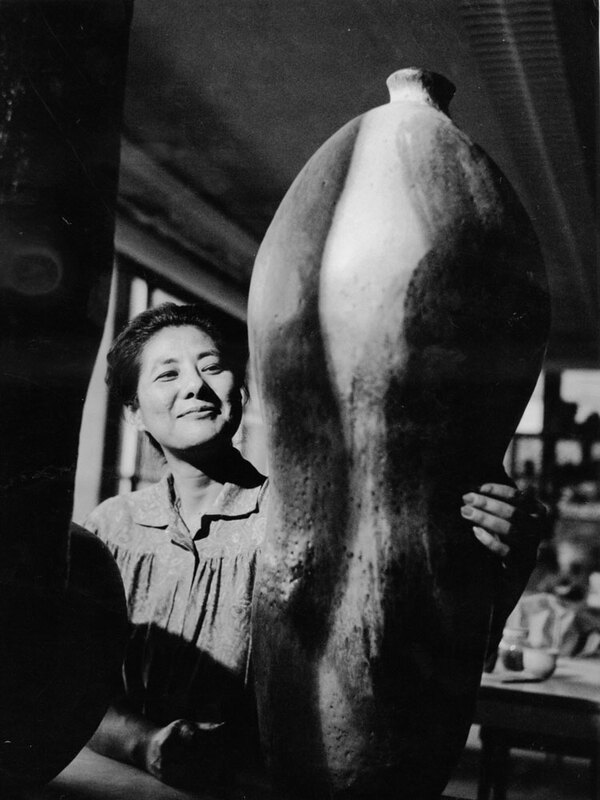 Takaezu taught for 25 years at Princeton University, where she was a mentor who shaped the lives of generations of artists. 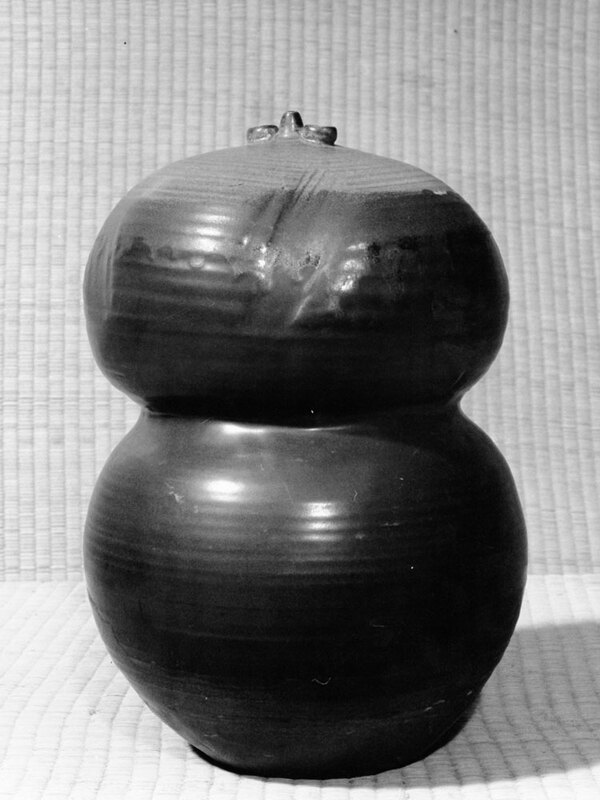 She was known for her round forms, which often incorporated an element of sound. In an interview with filmmaker D. B. Long, Takaezu said: "I stuck to one shape, more or less. My things are always round and tall, but there's always a closed feeling. There's air trapped in there. But there's also - when they're small - they all have sound, so that when you can touch it you can hear the sound. And sound is all over. You can hear the sound when you walk in the forest. This music. The sound is very important for me." 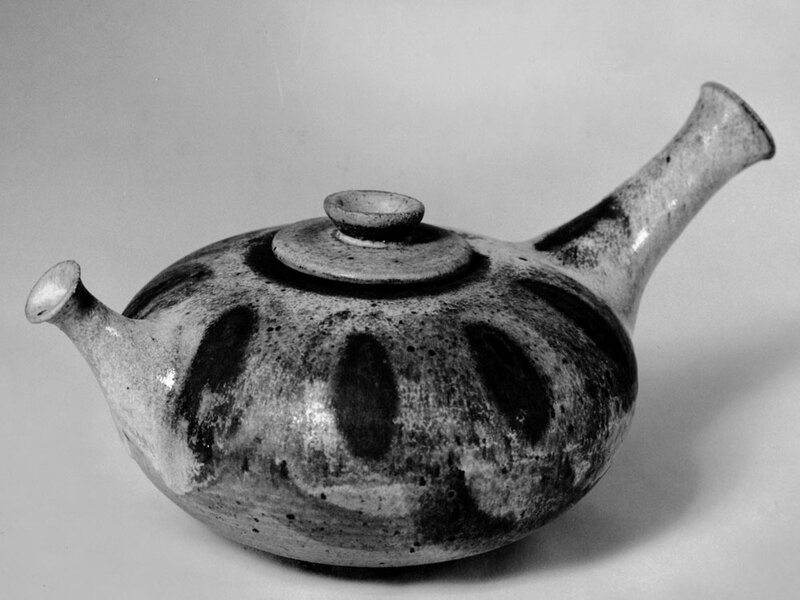 If her pottery appeals to the visual sense, it also works to reach other senses as well. . . . Adding sound to the object-by means of loose bits of clay beads within the hollow form-is a way to reach still another of the senses. Here again, the sound is just as subtle as the color, shape, and texture of her pottery. A delicate tinkle of pieces of clay tapping against the side of the interior hollow gives the impression of outdoor sounds in nature, like pebbles and the seashore. This is no bell or clatter; but an intimate sound which only the beholder can hear when he picks up the piece; and the quality of the sound will vary according to the way in which he moves it. It is no wonder, then, that some of Toshiko's most beautiful pieces are simply enclosed spheres, objects into which nothing can be placed and from which nothing can be removed: they are succinct poems combining-in apparent simplicity-the visual, tactile, and aural sensations. In their purity, these enclosed forms are the essence of Toshiko's work. 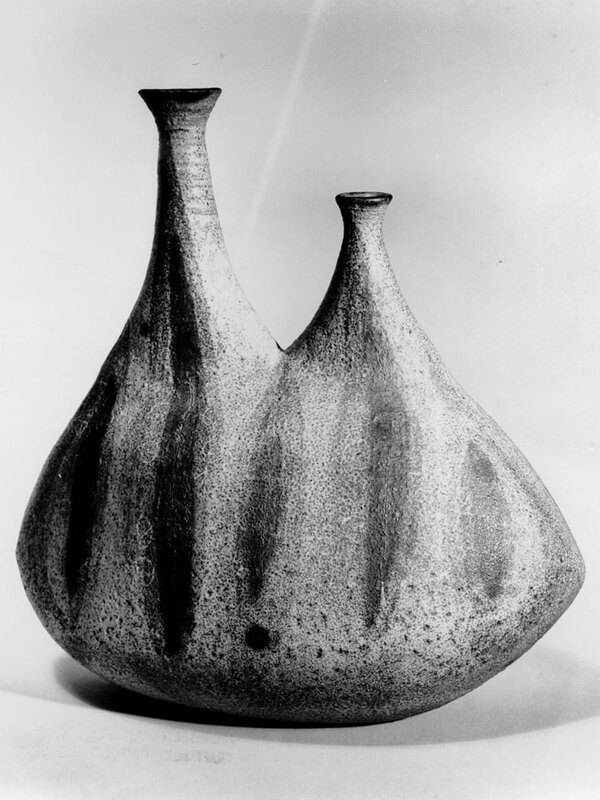 In 1975, Takaezu was inducted into the American Craft Council's College of Fellows, and in 1994, she was awarded the organization's Gold Medal for consummate craftsmanship. Of the award she wrote: "Whenever I receive an honor or recognition, I think of my many mentors and feel they have played a very important part in in my life. . . . I would like to recognize these people, most of whom are unaware of the role they played in furthering my career. I am also grateful for many years of teaching, which allowed me to grow and to experiment and should not be forgotten." All images courtesy of the American Craft Council library archives. 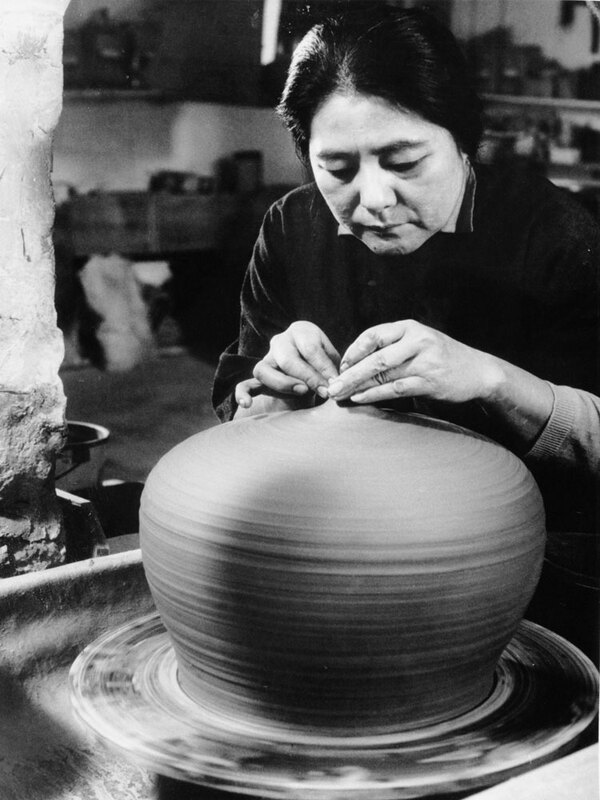 Ceramic artist Tashiko Takaezu, circa 1960.